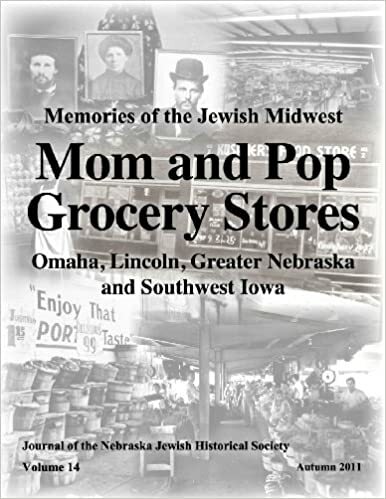 I contributed to a new book out by the Nebraska Jewish Historical Society that is an appreciation of the Jewish Mom and Pop grocery stores that once dominated the landscape in Omaha. From time to time I am posting an excerpt from the book to give provide a sample of the robust story it tells. For this post I chose a front section essay I wrote about the long defunct wholesale market that operated just southeast of downtown and that today is home to the popular historic cultural district known as the Old Market. 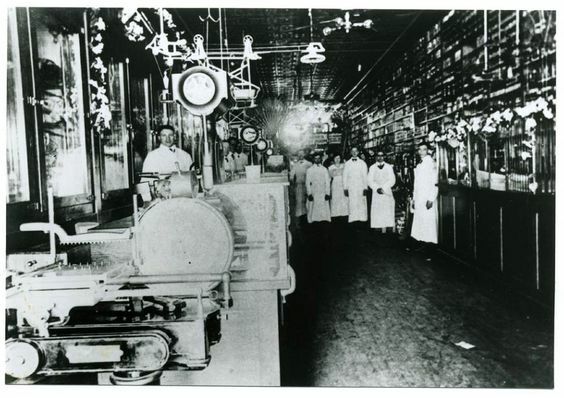 While the market didn’t contain grocery stores, its many wholsalers serviced grocers. It was a bustling center of commerce abd characters that is no more. For additional information or to order a copy of the book, contact Renee Ratner-Corcoran by e-mail at rcorcoran@jewishomaha.org or by phone at 402.334.6442. Omaha’s Old Market is a National Register of Historic Places district abuzz with activity. Bounded by 10th Street on the east, 13th Street on the west, and extending from Leavenworth Street on the south end to Howard Street on the north end, the character-rich area is an arts and entertainment hub. Restaurants. Speciality shops. Art galleries. Performance spaces. Many venues housed in late 19th and early 20th century warehouse buildings. Street performers and vendors “set up shop” there. Horse-drawn carriages transport fares over cobblestone streets. Streams of shoppers, diners, bar patrons, art lovers, theatergoers, sightseers, and residents file in and out, back and forth, all day long, through the wee hours of night. Summertime finds folks relaxing at restaurant and bar patios. Fresh flowers adorn planters arranged all about the Market. Fifty years ago and for a half-century or more before that these same streets and warehouses were equally busy, the commerce transacted there just as brisk. Only instead of trendy eateries, boutiques, galleries, and studios, the urban environs contained Omaha’s wholesale center for fresh fruit and vegetables. Whatever was in season and sellers could lay their mitts on, the market carried it. Now and then, owing to untimely droughts or freezes in prime growing areas, certain items were in short supply. During wartime, rationing made much produce scarce. But most of the time the Market offered a great variety of fresh produce at reasonable prices. In an earlier era, the Market, along with the Jobbers Canyon complex of wholesale and mercantile warehouses, meat packers, and outfitters a bit further to the east, supplied surveyors, land agents, speculators, railroad workers, steamboat crews, military personnel, trappers, and pioneers with the stores needed for settling the West. Jobbers Canyon, however, went the way of the wrecking ball, a fate that could have easily befallen the Market if not for a few interventionists. The Omaha Wholesale Produce Market House Company was an officially incorporated consortium of wholesalers and the Omaha City Market the city designated marketplace where the local produce industry concentrated. This American equivalent of the Middle Eastern bazaar or Old World farmer’s market consisted of two fundamental parts. Multi-story brick buildings housing warehouses, mercantiles, and offices were where the major produce wholesalers and brokers did high volume, bulk business with major buyers. A single wholesale deal might have moved 40,000 pounds of watermelons, for example. At street level, the warehouses featured a system of docks and bays where trucks carting loads of produce parked, their contents emptied out onto sidewalk pallets for immediate resell to buyers or into storage for later resell. Perhaps the biggest Jewish wholesaler in terms of volume handled was Gilinsky Fruit Company, whose two-story warehouse and offices became home to the French Cafe. When Sam Gilinsky’s business closed in 1941 several former employees, many of them Jews, opened their own wholesale businesses and wrote their own chapters as successful Market entrepreneurs. One of Omaha’s most recognizable and nationally branded businesses, Omaha Steaks, owned by another Jewish family, the Simons, did business in the Market when still known as Table Supply Meat Company. An open air market located in a paved lot at 11th and Jackson Street saw vendors and peddlers doing business with neighborhood grocers and retail consumers. The merchants selling there rented stalls, where they displayed their wares in bushel baskets, barrels, crates, boxes, and bags arranged on benches. The hawkers benefited from a sheet metal canopy overhead. Tarps were stretched out for additional protection. Old-timers who worked there will tell you the conditions made for long days during the heat of summer, when the canopy and tarp would get burning hot to the touch and make it like a sauna underneath. Standing on the hard cement was tough on shoes and feet. Across from these vendors were local truck gardeners and farmers, who turned an alleyway into a market of their own, selling bed loads of produce. These were small family businesses. Men made up the vast majority of Market workers, but some women and children worked there, too. For most, it was a humble living, but more than a few sons of immigrant vendors and peddlers went on to become doctors, lawyers, educators, and to enter many other professions. In this way, the Market was an avenue to the American Dream for first and second generation families here. The marketplace attracted a small army of workers and customers. Suppliers included farmers, gardeners, and greenhouse owners. Wholesale produce dealers ranged from giant operators buying and selling in train car lots or truckloads to smaller operators. The middle men included brokers, jobbers, and distributors. Most of the vendors and peddlers were immigrants, including Jews from Russia, Poland, and Germany, along with Syrians and Italians. Yiddish was among the many languages heard wafting through the Market. The foreign-born merchants’ raised, heavily-accented voices mixed with various American accents to create a music all their own. Then there was the sonorous strain of the district’s very own Italian tenor, “Celery John” (Distefano), who would serenade the marketplace when the mood struck. Don Greenberg, whose family’s wholesale Greenberg Fruit Company had a decades-long run in the Market, recalled Celery John once leading a group of workers in a rendition of the “Happy Birthday” song. The occasion celebrated the birthday of a veteran, well-liked merchant. The guys even got up enough dough to go in on purchasing a rather extravagant gift then — a television set. It was a place where men in smocks, aprons, overalls, or dungarees and with nicknames like Dago Pete, Crowbar Mike, Montana, Shoes, Red Wolfson, and Popeye rubbed shoulders with men in suits. Brothers George and Hymie Eisenberg became known as the Potato and Onion Kings for the considerable nationwide market share they held supplying spuds and onions to large food processors. The Eisenbergs had a much humbler beginning though as a family of produce peddlers. Many immigrants had established routes in neighborhoods around Omaha and on back country roads, where in the early days they traveled by horse and wagon before modernizing to trucks. Peddlers often operated stalls in the Market, too. Some peddlers and vendors, like the Eisenbergs, eventually became wholesalers. The primary buyers at the Market were grocers, restaurants, hotels, institutions, and major food processors. Just like today’s Omaha Farmers Market, the general public went to get their pick of fresh produce during the summer from the open air market that operated there. Day in, day out, the Market saw a flow of people, trucks, and goods. George Eisenberg can attest to “a lot of hustle and bustle, a lot of competition” that went on. 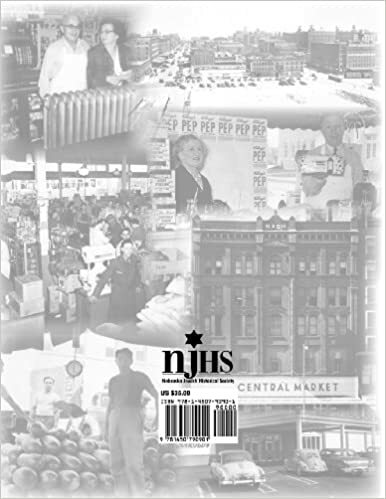 The Market thrived as a produce center from at least the first decade of the 20th century, when it was incorporated and a city appointed superintendent of markets or market master put in place to collect rent, enforce rules, and settle disputes, through the late 1950s. By the early ‘60s the Market declined as wholesalers either disbanded or moved west, the peddler trade disappeared, and many neighborhood and country grocers went belly up. The emergence of supermarket chains had a ripple effect that drove the small independents out of business, thereby eating into the Market’s trade. But the real death knell came when large grocers pooled their resources together to form their own wholesale cooperatives. The combined purchasing power of coops let them buy in huge quantities at bargain rates that smaller wholesalers and coops could not match. Grocers or supermarkets naturally bought from their own coop because they owned shares in it and any profits were returned as dividends. The same few blocks comprising that wild and woolly marketplace then and that make up the more cultivated Old Market today were, by comparison, virtually barren of people by the mid-1960s, the huge warehouse structures largely abandoned and fallen into disrepair. The open air City Market was closed by the City of Omaha in 1964. The overall Market district was saved from the wreckage heap by the vision and action of a family with longstanding business and property interests in the area, the Mercers, and by other enterprising sorts who despaired losing this vital swath of Omaha history. During the late ‘60s-early ‘70s what was once the produce center of Omaha began undergoing a transformation, building by building, block by block. The renovations continued to take hold over the better part of a decade. The labor intensive, working man’s market that revolved around fruit and vegetable sales gave way to head shops, galleries, theaters, and restaurants that appealed to the counter culture and sophisticated set. What is known now as the Old Market emerged and the area gained landmark preservation and historic status designations in 1979. By the late ‘70s, people began moving into loft-style living spaces above storefronts, an update on an old tradition that increasingly gained new traction. So many Old Market buildings have since been converted into mixed uses, with apartments and condos on the upper floors and businesses on the ground floor, that today the district is more than just a commercial center and tourist destination, but a urban residential neighborhood as well. Not every remnant of the early Market disappeared. At least one old-line vendor, Joe Vitale, hung on through the 1990s. Old-time sellers were usually loud, animated, sometimes gruff, and by any measure assertive in trying to reel buyers in for themselves and thus steer sales away from competitors. If a vendor thought a rival was out of line or infringing on his turf or undercutting prices or, God forbid, stealing sales, there might be heated words, even fisticuffs. Customers did not always get off easy either. Some old-time vendors took exception if someone fussily handled the merchandise without purchasing or questioned the quality or price of the goods. Sam Epstein recalled the time that Independent Fruit Company partners Sam “Red” Wolfson and Louie Siporin had just unloaded a batch of tomatoes when Tony Rotollo walked up to pick over the goods. Another hot head Epstein treaded lightly around was a banana house operator known to chase out persons he disliked with a sharp, curved banana knife. Vendors had to be more brazen then because: (1) for most of them this was their single livelihood and so every sale mattered; and (2) most merchants followed the tradition practiced back in the Old Country, where markets were more expressive, the competition more cut throat, where decorum was put aside and survival meant outshining and outshouting the vendor next to you or across from you. You had to have some chutzpah and some get-and-up-and-go initiative in order to make it. The give-and-take haggling, bartering, and bickering, good-natured or not, that was part and parcel of the classic marketplace is largely a thing of the past these days. For the most part, people today pay whatever price is set for goods without making a fuss. It’s all very polite, all very pleasant, all very banal. George Eisenberg and his brother Hymie worked with their father Ben in the Omaha City Market in the years before, during, and after World War II. The brothers’ father went into the wholesale business with Harry Roitstein and the Eisenberg and Roitstein Fruit Company survived into the 1950s and beyond. One of the few other Jewish wholesalers to last that long was Greenberg Fruit Company. 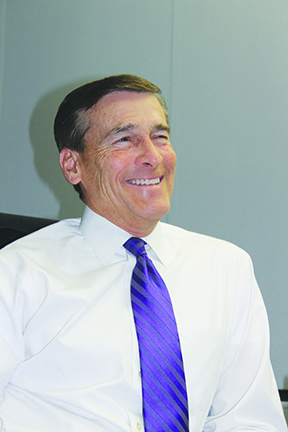 Don Greenberg joined his father Elmer in the family business in 1959. He said when he got involved most of the company’s buyers were small independent grocers, many of them Jewish and Italian. Even as late as ’59, Greenberg recalled, “parking places were at a premium” in the Market. Over time, the traffic trailed off, so much so that Greenberg Fruit left to build a new warehouse, in tandem with another Jewish wholesaler, Nogg Fruit Company, in southwest Omaha. The Eisenberg family’s produce dealings nearly spanned the arc of the Market, as the patriarch, Ben, went from peddler to vendor to wholesaler. Son George then took the business into an entirely new realm by specializing in the wholesale potato and onion field. He found a lucrative niche selling directly to food processors. But it all began with Ben and his horse and wagon, later his truck, and then the stalls on 11th and Jackson Street. As the proud son of a successful immigrant, Eisenberg is glad to see his old stomping grounds active again, filled with people jabbering, jostling, buying, and selling. But you cannot blame him for being a little wistful at the loss of the colorful, boisterous characters and antics that populated the Market back in the old days. With sellers noisily touting their goods like carnival barkers, all packed tightly together in a kind of vendors row, each vying for the same finite customer base, there was an every-man-for-himself urgency to the proceedings. There was no place Eisenberg would have rather been. Occasionally, things would get a little too rambunctious for some tastes. “The city had a market inspector, and he’d come down and tell us, ‘You guys are going to have it to hold it down. People are complaining that you’re making too much noise hawking the merchandise.’ Some people used to say that was the charm of the Market, yet some complained. Eisenberg said he and his mates would then talk in muted tones, at least while the inspector was still around, but once he went on his way they would go right back to shouting. It was the only way to be heard above the din. A typical day on the Market was not your average 9-to-5 proposition. Most vendors arrived by 4 or 5 a.m. to sell to commercial buyers seeking the best, freshest picks of the day. “If we thought we were going to be busy we might open the doors at 3 a.m.,” said Don Greenberg. “It was not unusual to work until 5 or 6 in the evening.” Some wholesalers and vendors stayed even later if business was good or if they had an excess of product they wanted to turn over before the next business day. Greenberg remembers card and dice games as popular distractions among some Market workers, who had their favorite hangouts in surrounding cafes and other creature comfort joints. Sam Epstein, whose family bought Nogg Fruit Company from Leo Nogg, recalled that the owner of Louie’s Market often sat in on a standing card game, leaving instructions that anyone who called the Market inquiring after him be told he had not been seen. Epstein recounted how a broker known to have dalliances with women at work worked out a system whereby a friend would “pound like hell” on a metal pole downstairs as a signal someone was coming to interrupt his latest conquest. He said in a market the size of Omaha’s word got around fast about who you could and could not trust in business dealings. “There’s no secrets around the Market,” Epstein said. Everything was done on a handshake and verbal basis then. All the transactions figured in ledger books or in people’s heads. As the independent grocers were dying off, Nogg Fruit got into the food service and frozen food business and flourished in this new niche. The Market’s band of brothers hung on as long as they could before the business faded away. As the big operators and small entrepreneurs left, one by one, and then all together, soon only photographs, articles, and memories remained. The brawny Industrial Era buildings that survive in new guises today are physical testament to what once went on there. But aside from a few signs on building walls, some produce scales, and maybe some hooks for hanging bunches of bananas, tangible evidence is hard to see. If you just close your eyes, though, perhaps you can imagine it all: the dance and ritual of shipments coming and going out; displays of produce being loaded, unloaded, handled, and haggled over; the jabbering commerce playing out from pre-dawn to past dusk between men in jaunty hats, their cigarettes, cigars or pipes ablaze. It was a colorful, lively place to work in and to shop at. And maybe, just maybe, if you happen by the Omaha Farmers Market some Saturday, in your mind’s eye you can picture an earlier scene that unfolded there, and know that all of it, past and present, is part of an unbroken line. Just like it has always been, it remains a place where people come together to buy and sell, bargain, and trade. The memory of what once was and what still is brings a smile to George Eisenberg’s face. I’d like to purchase this book used @ about $10. Do you have one for sale?